Private companies employed former CIA, NSA, FBI, military and police officers to monitor and in some cases infiltrate nonprofit groups that have been critical of them, according to the report by Essential Information. The corporate capacity for espionage has skyrocketed in recent years. Most major companies now have a chief corporate security officer tasked with assessing and mitigating “threats” of all sorts –including from nonprofit organizations. And there is now a surfeit of private investigations firms willing and able to conduct sophisticated spying operations against nonprofits. The use of former intelligence, military and law enforcement officers for corporate espionage appears to be commonplace. Especially prevalent is the use of former CIA, NSA & Secret Service agents, as well as current or former police officers, and other former military, intelligence and law enforcement officials. These current and former government employees and current government contractors, do their spying against nonprofits with little regulation or oversight and apparently with near impunity. 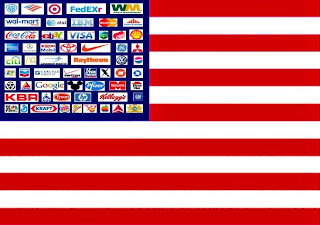 Many of the world’s largest corporations and their trade associations–including the U.S., Chamber of Commerce, Walmart, Monsanto, Bank of America, Dow Chemical, Kraft, Coca-Cola, Chevron, Burger King, McDonald’s, Shell, BP, BAE, Sasol, Brown & Williamson and E.ON – have been linked to espionage or planned espionage against nonprofit organizations, activists and whistleblowers. “Many different types of nonprofits have been targeted with espionage, including environmental, anti-war, public interest, consumer, food safety, pesticide reform, nursing-home reform, gun control, social justice, animal rights and arms control groups,” the report said. Corporate espionage against nonprofit organizations is an egregious abuse of corporate power that is subverting democracy,” said Gary Ruskin, the report’s author. “Who will rein in the forces of corporate lawlessness as they bear down upon nonprofit defenders of justice?” Corporations and their trade associations have been linked to a wide variety of espionage tactics against nonprofit organizations, including posing as volunteers or journalists to obtain information about nonprofits’ activities, the report said. “Many of these tactics are either highly unethical or illegal,” the report said.